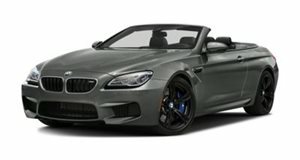 Now that the new BMW 6 Series convertible has been unveiled at the Detroit Auto Show, we're already seeing spy shots of the impending M6. Undergoing some harsh winter testing in Northern Sweden, BMW is still developing the car before its probable September 2012 debut - in time for that year's Paris Motor Show. These spy shots show the quad exhausts and massive front brakes, both of which are standard pieces on the M series lineup. In fact, if you look closely, the front brakes are clearly cross-drilled. The F12/F13 M6 will share the same engine with the also upcoming F10 M5. It'll be the turbocharged 4.4-liter V8 with direct injection that's currently in the X5 and X6 M. Obviously, it'll receive some additional tuning that will increase power output to the neighborhood of 600 hp. Other things we can expect will be more angular styling than the standard 6 Series. BMW made similar design changes to differentiate the new 1M Coupe over the 1 Series.